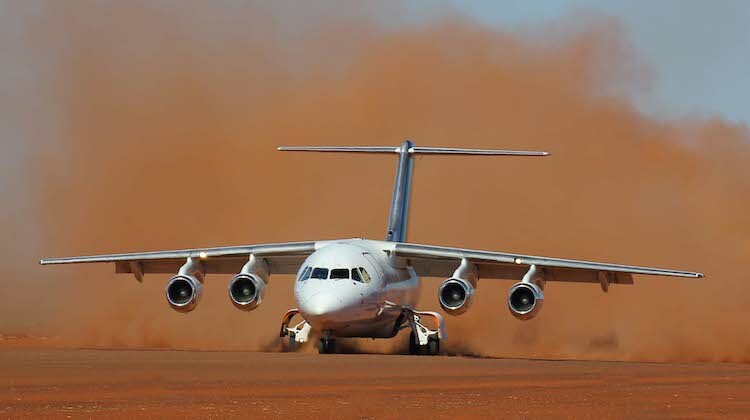 Reduced demand in Australia’s natural resources has contributed to a drop in first half profit for United Kingdom-headquartered aerospace and defence group Cobham Plc. The company has reported underlying operating profit for the six months to June 30 2018 of 90.4 million pounds (GBP), down 4.2 per cent from GBP94.4 million in the prior corresponding period. Revenue across the airline group fell 10 per cent to GBP924.5 million, Cobham plc said in a regulatory filing to the London Stock Exchange August 3. However the order “intake” grew from GBP916 million to GBP1,027 million. “These underlying results show that we are making encouraging progress to improve our operational performance, with the business and the balance sheet in better shape, Cobham plc chief executive David Lockwood said in a statement. Cobham plc has business units covering communications and connectivity, mission systems, advanced electronics solutions and aviation services. The aviation services division was recently restructured into two business units, with one covering Australia and the other covering the United Kingdom and Europe, the Middle East and Africa. The Australian operations includes aerial border surveillance and search-and-rescue operations on behalf of the Australian Border Force, as well as charter and fly-in/fly-out services for resources companies and maintenance work. 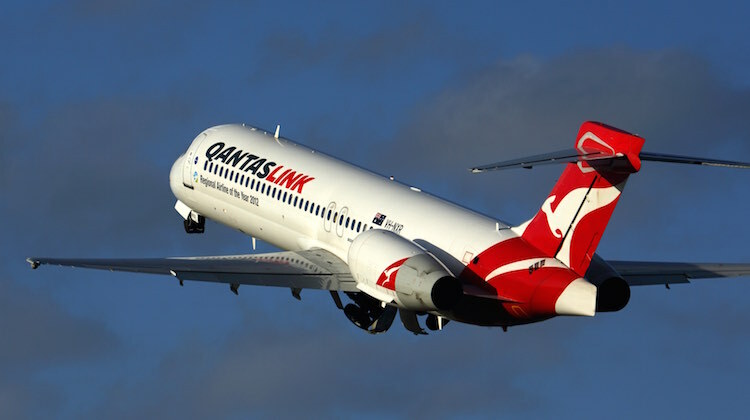 Cobham has also provided flightcrew, cabin crew and some maintenance for QantasLink fleet Boeing 717s since 2005. In July 2016, it signed a 10-year contract extension to continue operating the 20 717s currently in the QantasLink fleet worth $1.2 billion. Lockwood said its restructured Aviation Services division had produced more clearly defined business entities and removed a layer of management, reducing costs. The aviation services division reported operating profit of GBP8.8 million, down 34 per cent from GBP13.3 million in the prior corresponding period. Revenue fell 16 per cent to GBP157 million. “This was driven primarily by the completion of the UK Defence Helicopter Flying School (DHFS) contract at the end of March 2018, as well as the completion of contracts in Qatar and Trinidad and Tobago in 2017,” Cobham plc said in its first half results. 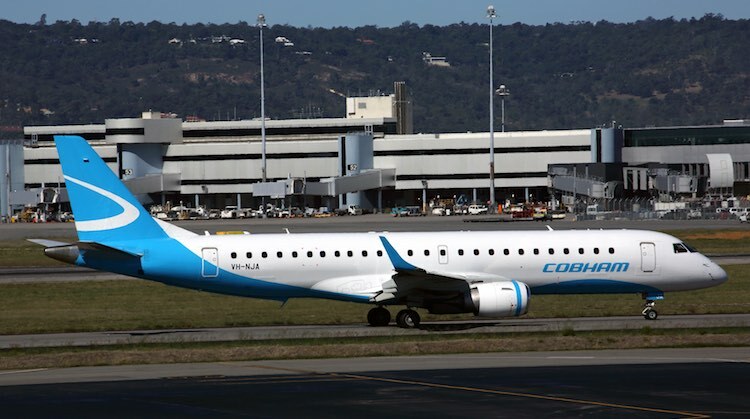 In March, Cobham Aviation Services said it had returned an Embraer E190 to its lessor after three years of operations. The aircraft had been used to provide fly-in/fly-out (FIFO) services for Chevron between Perth and Barrow Island. The contract with Chevron is now serviced by RJ100s. Cobham said it had gained a new three-year FIFO contract for the Independence Group’s Nova nickel-copper-cobalt mine in Western Australia, about 160km north-east of Norseman, and a two-year contract with Dacian Gold, which owns the Mount Morgans gold mine, south-west of Laverton in WA. “In terms of the fly-in/fly-out we are probably seeing, off a low base I would start with, some encouraging signs – a couple of customers increasing the number of flights, others talking about increasing the number of flights,” Lockwood said. Further, the Australian Maritime Safety Authority’s search and rescue contract – worth about $640 million over 12 years – was now fully operational, with four Bombardier Challenger 604 jets flying missions across Australia and internationally into the South-West Pacific, PNG and the Cocos Islands. On July 26, Cobham plc announced there would be an addition GBP40 million in costs for its work on the Boeing KC-46 tanker development. Lockwood said the company was “continuing to engage with Boeing to resolve the issues around the KC-46 tanker program”.